Traces dans l’espace is a project initiated by the group of composers Espaces sonores illimités in collaboration with the ensemble Magnitude 6. I was part of the project as an invited composer and Max programmer. 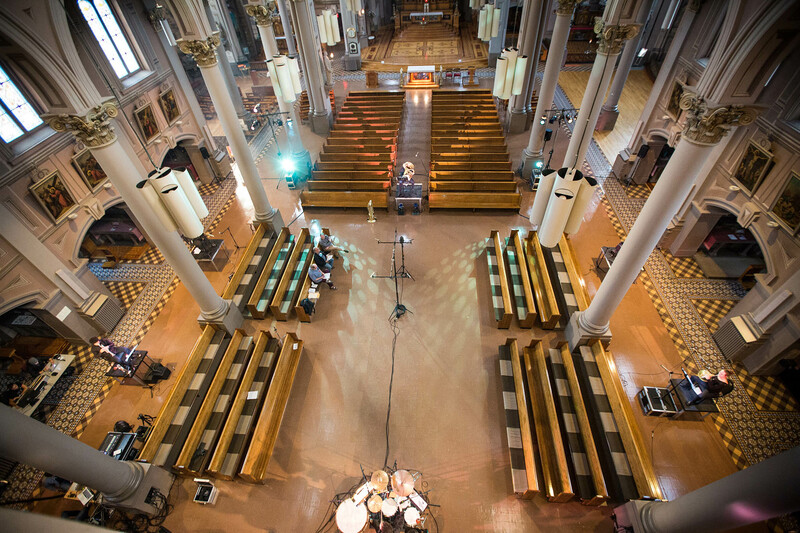 Traces dans l’espace is a spatialized concert-installation for a large hall like a church. Firstly, during several hours, the musicians of Magnitude6 played into the space and animated the electronic system that deployed gradually. Then, the concert began with four pieces written by each of the composers using the spatialized musicians and the multichannel electronic system. The projet has been premiered at the church Gesù on September 29th 2016 thanks to conseil des arts et lettres du Québec and Montreal council for the arts.